I have a couple of cards to share with you. I made this for a friend of mine who I am having dinner with today! Cheryl, thank you for opening up your family and friends to me! I love you ans your family dearly and I will be forever grateful to you! I received this card from Sharon. She is very thoughtful and kind and I appreciate your friendship and leadership! Our biggest online sale of the year, Online Extravaganza starts today!!! We’ve got a fantastic selection of stamp sets, accessories, and tools that will be discounted up to 50%! When you purchase $50 from my on-line store, you will receive the a Textured Embossing Folder of your choice. I am so excited to offer you this wonderful gift! For product bundles, you need to use the bundle item numbers provided. If you use individual item numbers, you won't get the discount. If not you will not get the discounted price . I am so excited about this app...talking apps now MDS apps...YOU GOTTA LOVE STAMPIN' UP! Stampin' Up has created a new app...at this time it is only available on the iPhone, though I believe it also works on the iPad or the iTouch. It is FREE and is called Simply Sent™ and works like a micro-version of My Digital Studio. Click the Simply Sent logo image, or the link below, to go to the iTunes app page. Click on the Simply Sent snapshot and it will take you to iTunes. The first screenshot, which basically gives you the instructions: you choose a background, add your own photo (from your gallery or take a photo), accessorize with a few embellishments, add a greeting or other text, and then you can share your creation via email, or Facebook. Your created cards should be saved in your gallery for you :-) The other snapshots are cute Simply Sent card samples. (2) Exciting products announced today! Give the gift of sound. Handcrafted projects show loved ones how much you care--let your voice tell them too! With Talking Tag, you can record your own personal message that recipients can access by scanning the Talking Tag. Attach them to cards, invitations, gift tags, business cards, catalogs, scrapbook pages, wine bottles . . . well, anything! Buy 'em by the sheet! You get (10) tags for $7.95 (item #129723). ON-LINE SALE INFORMATION FOR MONDAY! ONLINE SHOPPING only, so click on my "On-Line" button, and get your account set up and activated ahead of time…this one may crash the server! Please click on the Class Schedule button at the top of my blog to see what is being offered! Class Description: I love these ornaments and want to share them with you. This will be a fabulous class. I am also offering this class by mail. It would include all the supplies you need to make these card. Stampin' Up! doesn't not include the stamps for the cards. But if you have the ornament keepsake stamp set...this is worth your money! The cost will be $18 + $5.15 for shipping...total will be $23.15. Class Description: You will 8 cards of 4 different designs. They will all be ask elegant as this card. I love cards that a clean and simple. Please come and join me for 2 hours of stampin' fun! This will be a drop in class. You will come and make your cards and leave. Not a lot of instruction will be given! I am also offering this class by mail. It would include all the supplies you need to make these card. Stampin' Up! doesn't not let us include the stamps for the cards. The cost will be $24 + $5.15 for shipping...total will be $29.15. Class Description: We will be making 2 ornaments in this class. It is a time consuming process due to the fact you need to stamp and cut 20 ornaments. But it is so worth the time. I am also offering this class by mail. It would include all the supplies you need to make these card. Stampin' Up! doesn't not include the stamps for the cards. But if you have the ornament keepsake stamp set...this is worth your money! The cost will be $17 + $5.15 for shipping...total will be $22.15. Yes you read it right a FREE collection of (10) Ink pads which you can get (2) different ways ..
What a GREAT time to sign up! #2 Place a $450.00 order (before S&H and tax) you will get a FREE collection of Ink pads . PLUS (1) items of your choice at 50%off. For 1st time ever this special is being offered for purchases made online as well . *You can choose from the Subtles /Regals/Brights . Do you love the fact Stampin' Up! is offering you Single stamps! Click here for the complete list. Please check out these stamps! We are at State Volleyball. We qualified on Saturday. Coaches got together last night to work on our gifts to the girls. As a Demonstrator...I had to start right away to organize myself. So I started brain storming with myself on what to do...I came up with a state survival kit. (mind you, I had help putting them all together! Here are the pictures of what we created. Sorry I didn't get this posted earlier...we had a great state! I want to thank Katie for being the best and I LOVED working with the coaching staff! These are some incredible woman! They even came to State with School spirit! Isn't this picture awesome! This as been a very important part of me and I wanted to share this with you! OMG! the new trimmers are awesome! 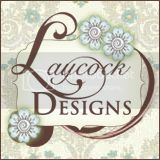 Finally, after much anticipation (and drooling over it in the catalog) the New Stampin’ Up! Paper Trimmer is available to customers. Although paper trimmers are a common crafting tool, this trimmer was designed exclusively by paper-crafters for paper-crafters and because it was made by Stampin’ Up!, you know it’s a cut above the rest! Check out the video below and see this new baby in action! 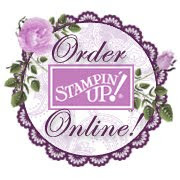 Here is the video from Stampin' Up! you have all been waiting for!